You may have heard the terms “eco-friendly,” “environmentally-friendly,” “sustainable,” and “green” when someone refers to construction as having a lower impact on the environment. These terms can be somewhat vague, but there are some standards that need to be followed in order for your commercial building construction to be considered “green.” The U.S. Green Building Council has set up a rating system known as LEED (Leadership in Energy and Environmental Design). This is quite an interesting use of “green” technology… it’s literally green! 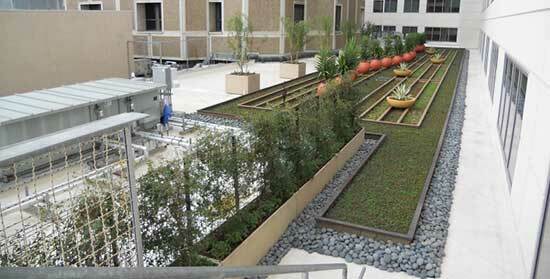 Garden systems are installed on the roof and/or outside walls of a building. Not only does this vegetation provide insultation that reduces heating and cooling costs, it also improves air quality and absorbs rainwater that would normally end up as runoff. The LEED certification focuses a lot on strategies that will reduce energy consumption, however, it also awards points for commercial building construction projects that take steps to improve indoor air quality. Heating, ventilation and air conditioning (HVAC) systems can be equipped with air filtration that reduces molds and allergens. Moisture control systems are also helpful in improving indoor air quality. Most commercial building construction use a typical HVAC system that heats and cools with forced air. 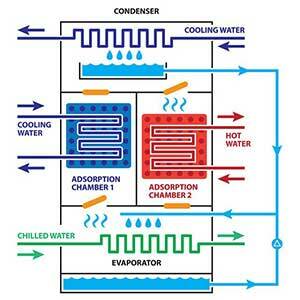 A Chiller Boiler system is quite different. It uses water to heat and cool the interior of the building. While this type of system would not be cost-efficient for a larger commercial building, it can work well in homes and smaller office buildings. The Chiller Boiler system uses radiant heating and cooling and can easily allow for multiple zones. 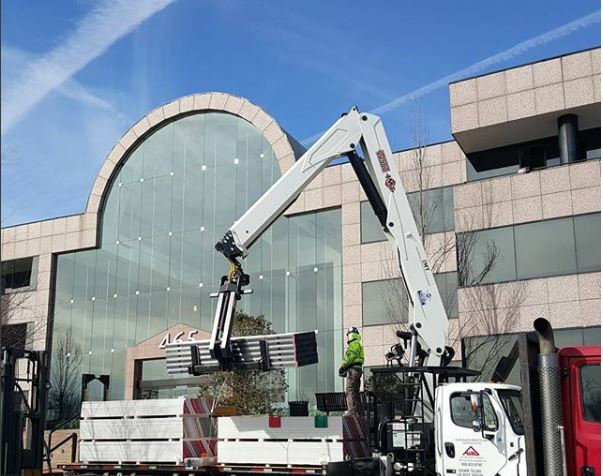 If your commercial building design will incorporate a lot of windows, an electronically-tintable glass can provide more comfort while reducing energy costs. Electricity is used to “change” the glass from opaque (tinted), to translucent. The change can be programmed so it happens automatically to manage light, glare, and energy use, or it can be accomplished with the push of a button. Smart glass saves money on heating and cooling. It also blocks UV rays and protects furniture. Whether you would like to have a complete LEED certification for your commercial building project, or you want to make sure you incorporate eco-friendly design into your commercial construction, the professionals at Prominent Builders are there to assist you. Our project management team can help you organize all phases of construction from permitting to completion. can successfully manage your commercial or retail construction project.